Kit comes with fiberglass cowl,super charger ,clear canopy,bumps and blisters. Retracts, Pilot Cockpit kit . 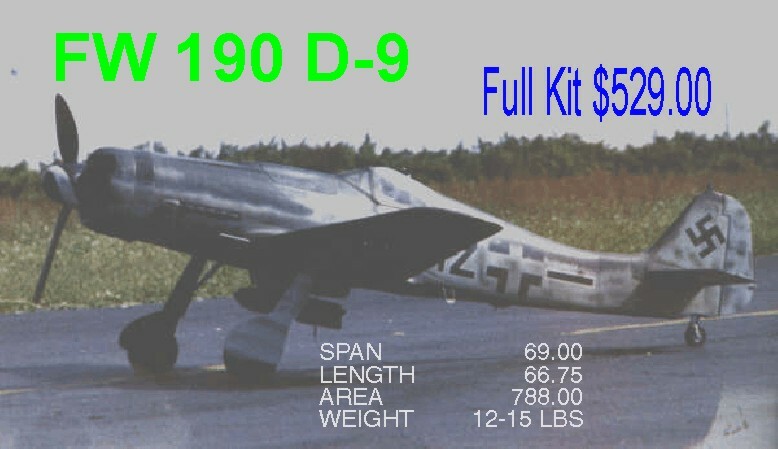 Tony Green from Nebraska Built this Fw to replicate the D-9’s that flew cover For the German Jets to take off and land when they were the most likely to be shot up!